I think I'm within the statute of limitations for Thanksgiving, so let me say I am also thankful for past contributors sending me photos of new work that they want to share with the Tattoosday community. "about a year ago, you featured my beautiful cat memorial tattoo (by John Reardon, who was at Saved Tattoo at the time). i follow your blog regularly. you always feature beautiful work with interesting stories attached. i just got a crazy new tattoo that i thought i'd send along, in case you think it's worthy of sharing. it was done by the incredible dr. lakra in oaxaca, mexico." That's pretty darn cool, if I do say so myself. 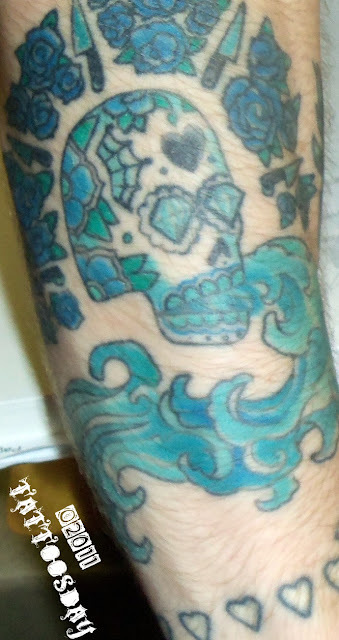 Skulls are common tattoo themes, so it is exciting to see a spin on that idea, and what better way to honor getting inked by a famous Mexican artist than by getting a skull with a tattered lucha libre mask? Thanks to Niki for staying in touch and sharing her new tattoo with us here on Tattoosday! You can see more art by Dr. Lakra here in his Google photostream. If you’re still recovering from a day of camping out and fighting the crowds for Black Friday holiday gifts, might I suggest one more item for your list? 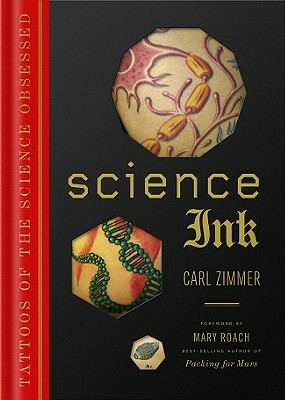 Science Ink: Tattoos of the Science Obsessed was recently published by Sterling Press and it rates as one of the finer titles on tattoos that I have seen in while. Science Ink is written by Carl Zimmer, a science writer with great credentials and whose blog rates a spot on my blogroll shortlist. I have been a fan of Carl Zimmer’s Science Tattoo Emporium since 2008, even warranting a mention in a stand-alone post here. I was excited to hear last year that he was compiling a book on the subject of scientific tattoos, as, unlike a lot of the work in London Tattoos (my last review, which appeared here), the ink is drenched in meaning. As a storyteller and a writer, I’ll admit to favoring tattoos that have stories and/or specific meaning behind them. Not that I don’t appreciate a fine work of body art that is beautiful for beauty’s sake. I just find myself more intellectually stimulated by tattoos that pack a narrative punch. This is also why I dig literary tattoos. All that being said, Zimmer should be commended for compiling a whole slew of scientific ink, and organizing it in such a thoughtful and pleasing way. Chapters are divided up by category (Physics, Chemistry, Astronomy, Earth Sciences, etc.) with photos of the contributors work, along with a paragraph or two devoted to explaining the accompanying pieces. These are not tattoos that resulted from walking in to a shop and picking flash off the wall. Not that there’s anything wrong with that. Rather, we’re treated to tattoos that were clearly thought out and executed with the purpose of connecting to the individuals passion for their intellectual stimuli. Tattoo purists may look at this book and cringe at the quality of some of the tattoos depicted. But the quality is not the point, and there is a lot of fine work, nonetheless. With a few exceptions, we are not seeing work contributed by tattoo aficionados. Instead, we get a glimpse of tattoos from people that you don’t normally associate with ink: scientists, doctors, university professors, and anthropologists. For that reason, Science Ink succeeds in drawing in the reader to the individual narrative behind the tattoo. What makes someone who is uninked take the leap and go under the needle? Ultimately, it is the answer to that question that propels the mini-narratives forward and make Science Ink such a compelling read. Above and beyond the appreciation of tattoos, the book speaks to a larger audience, those who are steeped in the sciences and those who don’t consider themselves part of a “tattoo culture”. 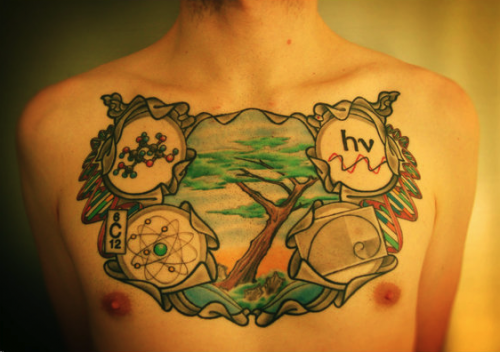 Ultimately, not everyone who is science-minded gets a tattoo related to their field, but a mathematician may understand someone’s desire to get an interesting equation inked on their forearm more than they would, say, getting a flaming skull or a scattering of cherry blossoms. The biggest fault I find with Science Ink is not an original one. Marisa over at Needles and Sins voiced the disappointment in her review, as well, that the artists who created the body art are rarely named by the contributors. I always ask Tattoosday contributors to disclose their artists’ names to give credit where credit is due. Occasionally I meet people who do not recall the names of their artists, but that tends to be a smaller percentage. Zimmer includes a thumbnail “visual index” of contributors. It would be nice, if there is ever a Science Ink II, to include an index of artists, as well. As a saving grace, Zimmer does credit the artists on his website here, but I only discovered that by accident. ** I’d imagine, however, that to the bulk of the reading audience, the tattooist’s identity is not as important and may seem extraneous, but for many it is nice to see credit where credit is due. All in all, however, Zimmer hits the ball out of the park with a wonderful tattoo-themed product that I fully endorse and recommend. 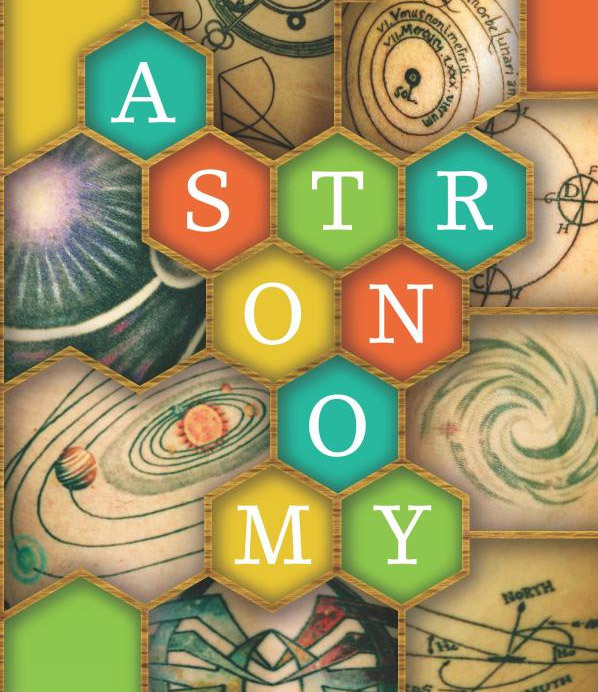 With the holidays just around the corner, this would make a great gift for the science obsessed person in your life! "Thanks! I agree that the artists should get credit. My designer and I put together a list, but a change in schedule prevented the publisher from putting it into the book. We'll be sure to get it into the next printing". Thanksgiving Re-Post: Have a Happy and Safe Holiday! This Thanksgiving, I am thankful for many things, especially my lovely wife and two amazing daughters. You, the readers out there in the world, are also people for whom I am thankful. Mahalo, as they say in my childhood home, for visiting often. I am also thankful for the month of November, which always seems to be a slowdown month for me and Tattoosday. My posting pace slows significantly, despite still carrying a backlog of posts from the summer. Consider them my tattoo acorns that I'm saving for those cold days ahead when a tattoo sighting in New York generally means someone has removed their gloves or scarf! Stay tuned in the weeks ahead for a flurry of book reviews, just in time for the holiday shopping season and, in the mean time, enjoy this post from last Thanksgiving, slightly edited, which appeared here. Full disclosure: it was this encounter that taught me an important lesson - my voice recorder doesn't do well on the subway. I was able to ascertain that these companion pieces were inked with specific meanings. 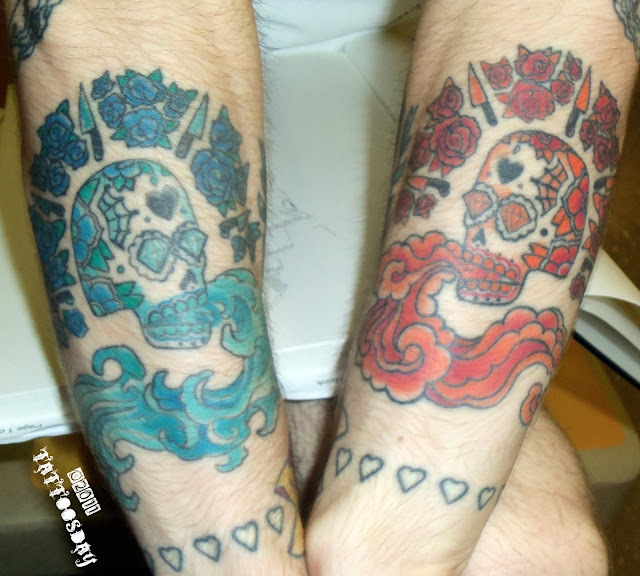 The blue tattoo on the right arm has the subtext of a break-up. Juxtaposed with that is the red piece which represents the rise of artistic expression. These nearly-mirror image tattoos were credited to Shaun Carroll at Hod Rod Tattoo in Blackburg, Virginia. Thanks to Mark for sharing these tattoos with us here on Tattoosday! Me: What are your guys' names? Me: Forever? How long you guys been together? Gabby and Carter: It's eBaum's World. Carter: It's been around forever ... like YouTube. Me: So that's just like the logo? The heart? Carter: And the little globe, I got that. Gabby: I did that tattoo on him. Me: You tattooed that on him? Then who did yours? Me: Well, the two of them go together, that's cool. Carter works for eBaum's world, which can best be described as a site for videos, like YouTube, but with more of a CollegeHumor.com slant. It's not just videos, but jokes, blogs, photos and games. Thanks to Gabby and Carter for sharing these companion tattoos with us here on Tattoosday! Back in August I received an email from Al, one of the thousands of people that commutes in and out of Penn Station on a daily basis. As a reader of Tattoosday, Al recognized that a lot of my inkspotting occurred in this major transit hub and he had recently thought he saw me there. Of course, this was quite feasible, as I generally pass through Penn during my lunch hour, as well as before and after work. He also sent me some photos and, as occasionally happens, the e-mail from Al got buried in the deluge known as my inbox. "... I often read your blog and I especially love the stories you include about how you ran in to each person or convinced them to show you their tattoos or whatever it was. Also the fact that you include the artist info (when you can) is amazing! So thanks, and keep up the good work! 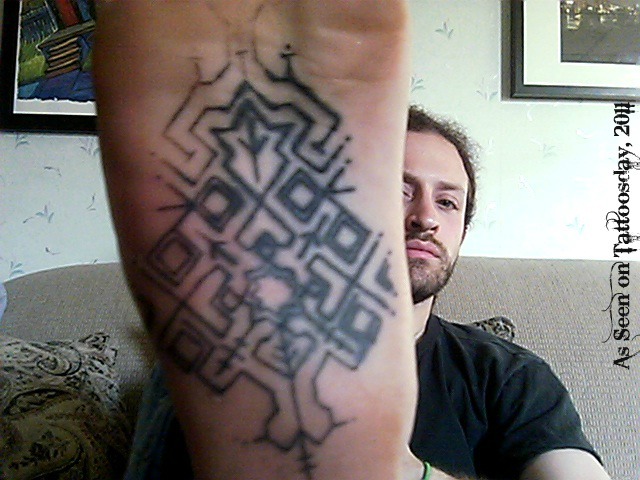 ... [Included are] pictures of two of my tattoos that are especially fun for me, and in their own ways, unique. The first at the top of my back, and it's an image of a jaw harp done as if it were an old-school traditional piece. If you haven't heard of a jaw harp (also called Jew's harp, trump, mouth harp, etc...) check it out! It's a very simple instrument that has a place in indigenous cultures all around the world...and it's one of the most ridiculous and fun instruments I've ever played. I especially love that it's considered something of a "low class" instrument in most cultures. Sort of the underdog of the musical world! This piece was done by Michael Hastings at the Boston Tattoo Company in Somerville, MA. The second one is less of a serious tattoo and more of a product of "hey, you know what would be funny?" 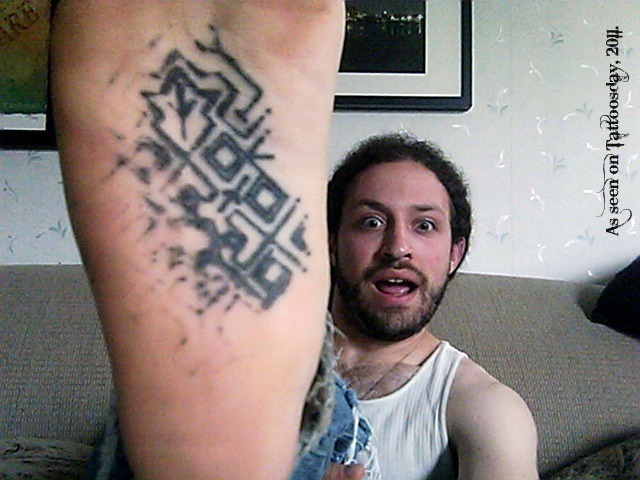 A tattoo artist friend of mine and I were joking around, and I convinced him to tattoo the bottom of my foot, more or less to see what would happen. Anyone will tell you that getting a tattoo down there is a bad idea, but how exactly would it work out? Well, the first picture you see is on it's second or third day of life -- already blown out in areas and starting to fade. One month later, and you can see it's already nearly half gone. It was a fun tattoo experiment, and it earns me major badass points everywhere I go :-)"
Thanks to Al for sharing these tattoos with us here on Tattoosday! When I stopped her and introduced myself, she was happy to share it with us here on Tattoosday. "Velociraptor is my spirit dinosaur. They're small and quick and very vicious and I identify with that as a person ... I really like dinosaurs. When I was a kid, I wanted to be a rock-climbing paleontologist, so I knew it was something that I'd like, you know, for the rest of the time I have my skin on." This is Petra's first tattoo, and she got it inked by Cheyenne Sawyer at Atlas Tattoo in Portland, Oregon. Thanks to Petra for sharing this cool tattoo with us here on Tattoosday! The weather here in New York has been turning autumnal and visible tattoos have been disappearing from the streets, but fear not, Readers, we still have material to get us through the end of the year, thanks to a backlog of photos from the summer! I met Brian at a drugstore in Bay Ridge, back in the beginning of August. He told me he had just started working as an apprentice at A-List Industry Tattoos, a few blocks away. At the time, Brian had seven tattoos, including this chest piece, which is comprised of two parts. "May I never be complete. May I never be content. May I never be perfect. Deliver me, Tyler, from being perfect and complete." Brian credited this piece to Paul Ilardi, the owner at Monster Tattoos on Staten Island. 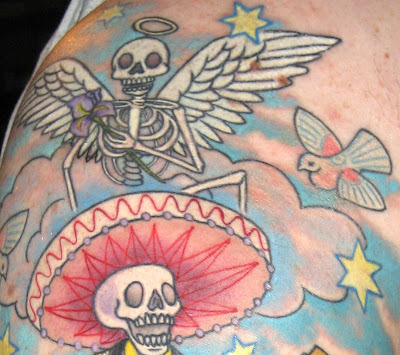 The bottom section of the tattoo features a banner that reads "Death steals everything but out stories." Brian explained that he took this to mean that "what outlives us is the memories we have, the stories we have". Death waits inside us for a door to open. Death is patient as a dead cat. Death is a doorknob made of flesh. she couldn't read or write. She wasn't a virgin. She was "simpleminded," we all said. It was May, a time of lilacs and shooting stars. She's lived in my memory for sixty years. Death steals everything except our stories..
Brian credited this part of the tattoo to Cesar at Bullseye Tattoos, also on Staten Island. 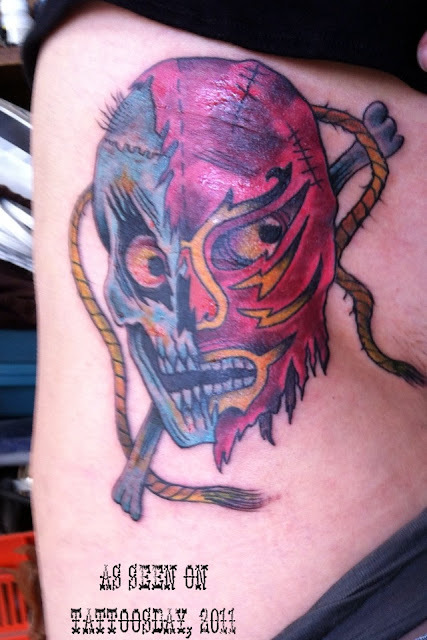 Thanks to Brian for sharing his ink with us here on Tattoosday! This entry is ©2011 Tattoosday, with the exception of "Larson's Holstein Bull" by Jim Harrison from In Search of Small Gods. © Copper Canyon Press, 2009. Let's eliminate the suspense - London Tattoos is a lovely book, and one of the best tattoo titles I have seen in recent years. 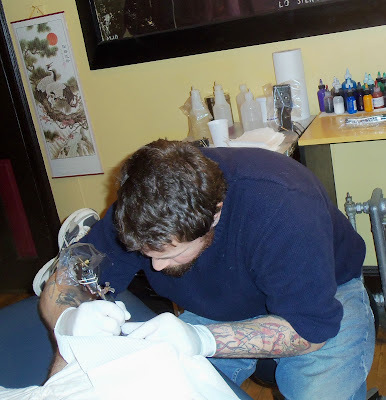 I recommend it highly and strongly encourage Tattoosday readers to check it out. The book is beautifully photographed by Alex MacNaughton. The concept is simple: each subject stands in a full shot at the beginning of their section. There is a paragraph or two composed by the host, describing, in various degrees of detail, their tattoo journeys. A list of tattooist credits follow as footnotes, and then we are treated to several more (at the very least) more detailed shots of the body sections featuring the person's ink. There is a fine distinction here, that between a close-up of a tattoo, and a close-up of the tapestry on which the tattoo is marked. Its a fine line of art that McNaughton executes brillianty. We catch glimpses of work, we see sections in great detail, but we are rarely confronted by an image that is a sterile full-frame of tattoo. I just love the way that this photo narrative unfolds. Especially remarkable are the subjects who appear mostly, if not fully, covered. 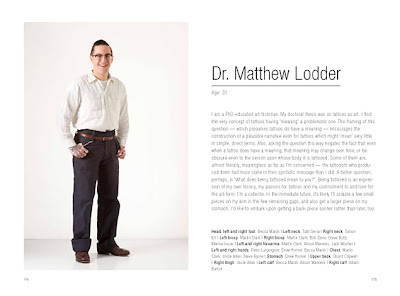 A turn of the page strips layers off of the individuals and we are treated to the artistic treasures that lie beneath. It dazzles the imagination, the unveiling of a person who appears uninked, only to reveal a breath-taking display of coverage that illuminates that this person spent hours upon hours under the needle. It is brilliantly executed and I recommend it fully, all 304 pages with 700 color illustrations. Alex MacNaughton is also the author of London Street Art, London Street Art 2 and London Street Art Anthology. 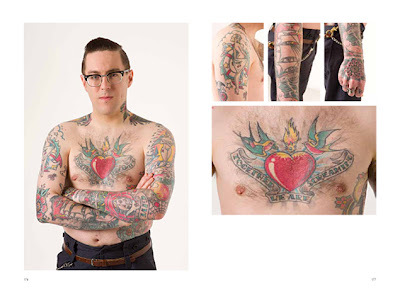 I encourage Tattoosday readers to buy London Tattoos - the holidays are just around the corner - and, at the very least, visit MacNaughton's website here to get a bigger taste of the work inside this wonderful book. 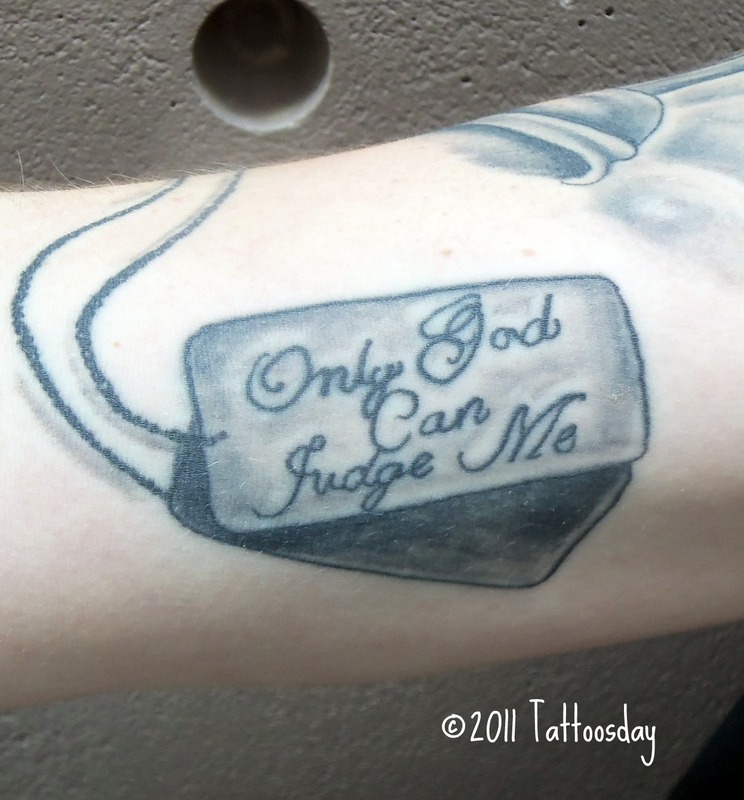 This entry is ©2011 Tattoosday. Photographs are ©2011 Alex MacNaughton. Today's tattoo is perfect for a Monday. I couldn't quite put my finger on why I recognized the art, until she clarified for me that it was based on an illustration from a wonderful children's book by Judith Viorst called Alexander and the Terrible, Horrible, No Good, Very Bad Day. The phrase in the banner, "Some days are like that," is a line from the story. "I have a very good friend who has If You're Afraid of the Dark, Remember the Night Rainbow on his arm and I was like, 'Ah, children's book! Great idea!' So I went to my mom and said, 'What was my favorite children's book?' and she's like, 'Well, Alexander or The Lupine Lady [from Miss Rumphius].' And I thought 'I don't want pastel colors. I want black and grey and I liked the artwork much better.' So I went with this." 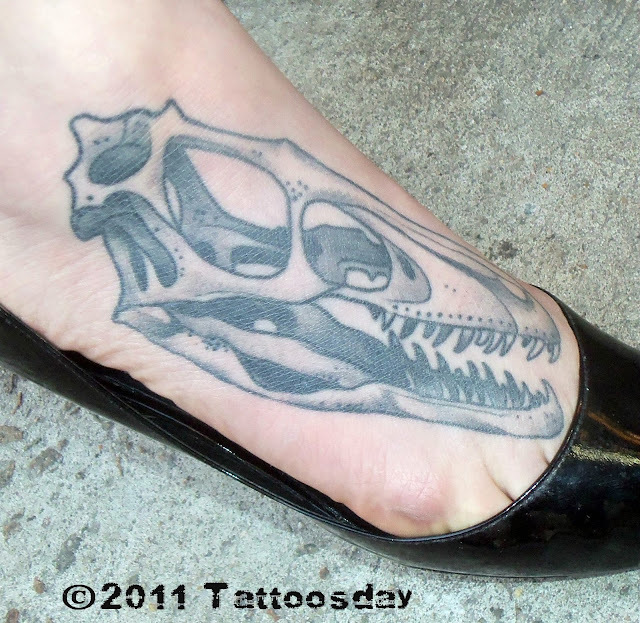 This was Lauren's first tattoo and it was inked by Christian Beckman at Saints and Sinners in Baltimore. He modified Alexander's shirt, adding the skull, but it's still certifiably Alexander. Thanks to Lauren for sharing this awesome tattoo with us here on Tattoosday! He explained that Philippians 4:13 was his confirmation verse. He added, "I went with the hands and everything because I already have a cross on my back." Ryan commented that "I put only God can judge me because I've been going through some legal difficulties." It's a reminder that, when all is said and done, the ultimate judge is, in the belief of many, above and beyond the world in which we live. 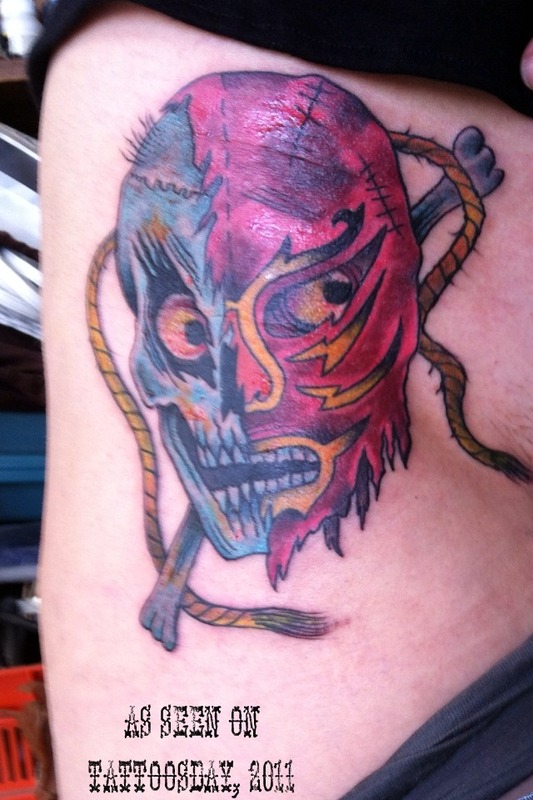 Ryan credits Joe Bawden from Skin Alternative in Hillside, New Jersey, with this tattoo. Thanks to Ryan for sharing his ink with us here on Tattoosday! Being as it is still Halloween week, perhaps a little Edward Gorey is appropriate? Clicking on the Gorey tag at the bottom of the post will confirm what you may have already expected - the work of Edward Gorey is quite popular as body art. This piece is one of six tattoos Megan has, and is based on Gorey's book The Epipleptic Bicycle. That's Embley and Yewbert, hitting each other with mallets. She told me she got this because "I love Edward Gorey and it's one of my favorite books and this is the opening sequence." This was inked by Fatty at Fatty's Custom Tattooz in Washington, D.C. 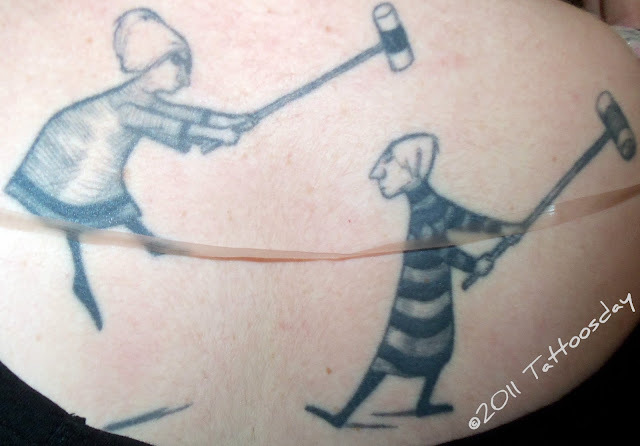 In researching I stumbled upon this story, of a woman with a similar tattoo. 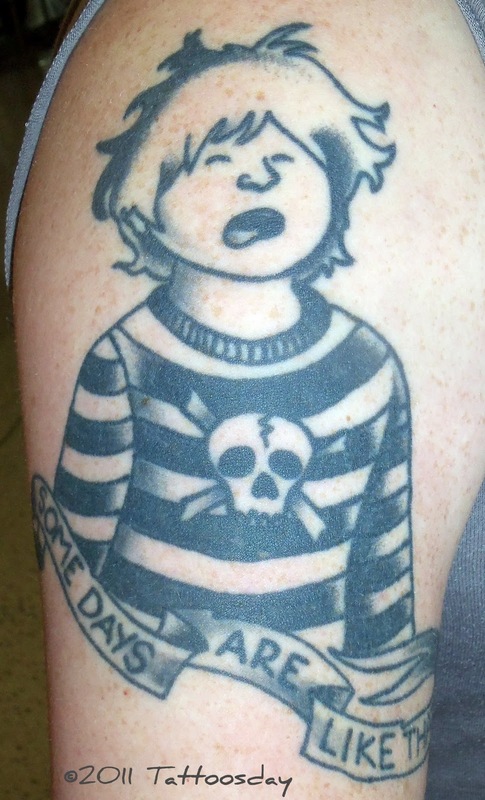 Thanks to Megan for sharing her Gorey tattoo with us here on Tattoosday! Well, it has been a repost sort of week, and as it is All Soul's Day, a.k.a. The Day of the Dead, this only seemed fitting. It's from my college friend, Michael, and it appeared here originally on December 30, 2008. Enjoy! In reconnecting with old college friends through Facebook, my old friend Michael who I haven't seen in almost twenty years sent me an amazing tattoo he has on his right arm. The detail and the line work is exemplary and breath-taking. 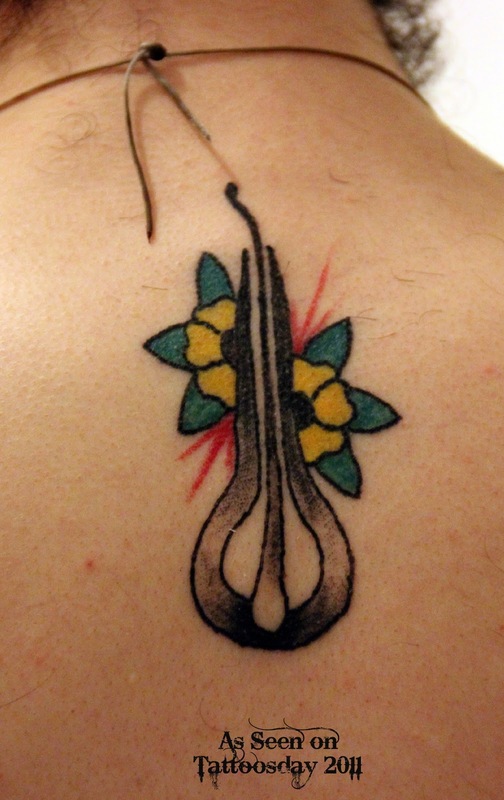 As someone with a guitar inked on my arm, I can appreciate the intricacies of a finely-drawn instrument. The detail on the mariachi's jacket cuff is incredible. In a sense, this piece is a "memorial" tattoo, although I hate to call it that. Since I grew up in the Southwest, Day of the Dead was a regular thing, so I've always been drawn to that type of imagery, plus I like the meaning -- honoring the dead, and reminding us to live life to the fullest. I picked the mariachis partly because I am so into music, and partly because of the celebratory aspect of mariachis. Like many intricate tattoos with multiple elements, every part has significance. 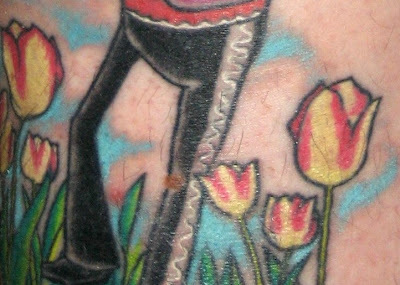 The tulips, for example, that are growing at the mariachi's feet, "are an actual heirloom varietal that I have in the garden" [and] are for my wife -- tulips are her favorite flower". And the angel at the top of the piece (and the top of the post)? Michael informs us that "the angel is for my mother, who is no longer with us. 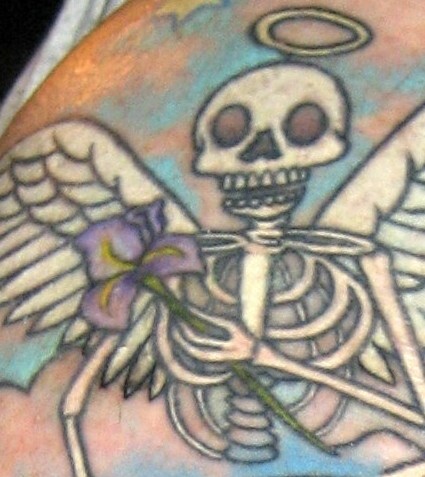 The angel holds a purple iris (my mother's favorite flower), and looks down over the whole scene." 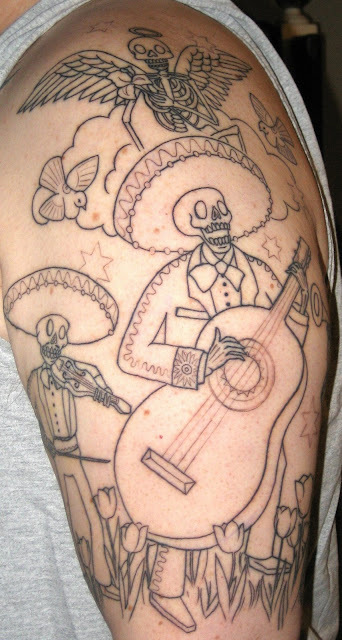 This amazing piece was inked by Susan Behney-Doyle who works out of Jinx Proof Tattoo in Washington, D.C. Mexican folk art is one of her specialties (see a gallery of her work here) and Michael says he "gave her a few reference pieces to look at, but she basically drew it after a consultation". He continues, "we made just a couple tweaks after I saw the drawing, but it's a one-of-a-kind custom piece". The whole tattoo was crafted back in 2006 over a five-month, seven-session period. Michael notes that one of those sessions was devoted solely to shading the guitar. A closer look at the instrument reveals an incredible complexity of brown variations that truly makes the guitar jump off the skin. Thanks again to Michael for sharing this amazing tattoo with us here on Tattoosday - twice! This entry is ©2008, 2011 Tattoosday.